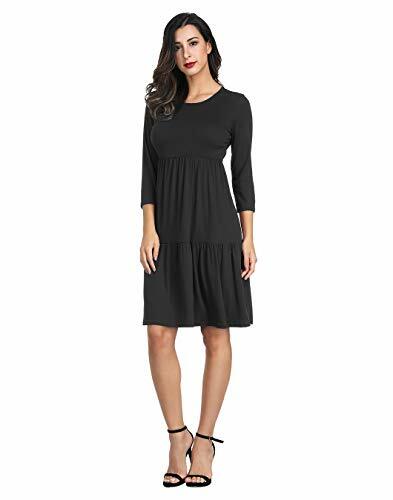 Features: Akivide Women's Casual Round Neck Pleated Maternity Dress With 3/4 Sleeve Must-have a dress suit you. 3/4 sleeve maternity dress Round neck Pleated maternity dress Season: Spring, Summer, Autumn Occasions: party, cocktail, casual,work office, open front coat perfect for casual daily life and some special occasions. Tips: Pls allow 0.5 inch-1 inch differs due to manual measurements, your understanding will be much appreciated! The actual colors may look slightly differs from the pictures due to different monitor settings. About us:Akivide Specializes In Designing, Manufacturing And Selling Women's Apparel and Enjoys A High Reputation With Its Excellent Quality, Reliable Delivery, and Good Customer Service. Simple and classy design with round neck maternity dress makes it suitable for all daily wear and special occasions. Occasions:Suitable for party, cocktail, casual, evening, work office, homecoming, dinner, holiday,3/4 sleeve cardigan coat perfect for casual daily life and any other special occasions. Features:3/4 sleeve cardigan,open front coat,work office blazer coat. Please refer to our left size chart image before ordering or product description before ordering. 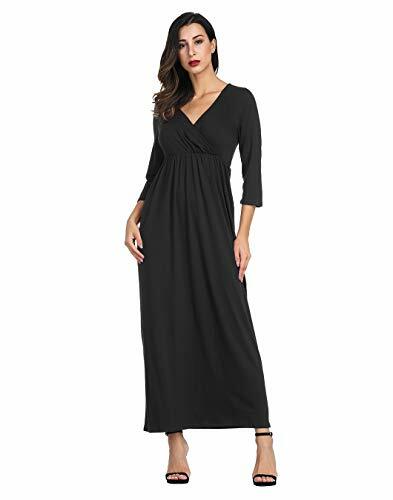 Design: V-neck, 3/4 Sleeve, Solid color Casual Maternity Wrap Dress , long dress, swing dress, maxi dress Garment: Hand or Machine washable / Hang or line dry./ Do not bleach. Tips: Pls allow 0.5 inch-1 inch differs due to manual measurements, your understanding will be much appreciated ! The actual colors may look slightly differs from the pictures due to different monitor settings. OCCASION: Suitable for wedding, casual occasion, party , pregnant woman, etc. In Addition, it is the best gift for your wife, daughter, girlfriend, and friends. Size Chart:(inch) S:Bust--32.28---Waist--26.77---Length--53.54---Shoulder Length--14.57---Sleeve--17.32-- M:Bust--33.86---Waist--28.35---Length--53.94---Shoulder Length--14.96---Sleeve--17.72-- L:Bust--35.43---Waist--29.92---Length--54.33---Shoulder Length--15.35---Sleeve--18.11-- XL:Bust--37.40---Waist--31.89---Length--54.72---Shoulder Length--15.75---Sleeve--18.50-- About us: Akivide Specializes In Designing, Manufacturing And Selling Women's Apparel and Enjoys A High Reputation With Its Excellent Quality, Reliable Delivery, and Good Customer Service. Please Contact Us as Soon as Possible If You Have any Questions. Features: Akivide Womens Casual Round Neck 3/4 Sleeve / short Sleeve Dress, Stitching Splice Dress . 3/4 Sleeve / Short Sleeve dress Stitching splice knee length dress Loose comfy fit Soft & Stretchy Fabric: 95% Rayon + 5% Spandex Season: Spring, Summer, Autumn Occasions: Daily Casual, Work Office, School, Summer Beach, Semi-Formal, Holiday Party, Dinner, Dance, and other occasions. Tips: 1.Colors may appear slightly different via website due to computer picture resolution and monitor settings. 2. Please allow 1-3cm differs due to manual measurement, thanks. Hours of playing fun. House, rooms of furniture and dolls sold separately. 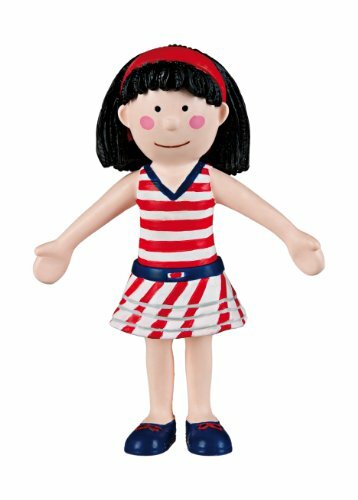 Looking for more Caroline Dress Dresses Solid similar ideas? Try to explore these searches: Spigot Head, Upper Deck Mickey Mantle, and Jumbo Card Stand. Look at latest related video about Caroline Dress Dresses Solid. Shopwizion.com is the smartest way for online shopping: compare prices of leading online shops for best deals around the web. Don't miss TOP Caroline Dress Dresses Solid deals, updated daily.